At the time of the last general election in the South it was in vogue to remark that the only thing Sinn Féin were unsure of was whether they wanted to become the next Labour or the next Fianna Fáil. Now, in the light of the events of recent years, it seems that the latter is much more likely. Sinn Féin’s move to the centre and to respectability—set in motion by Gerry Adams decades previously—has begun to bear fruit south of the border, and the prospect of the party being in government in both states is no longer as removed from reality as it once was. The past two years have seen a continuation and deepening of this strategy, with Sinn Féin using the cover afforded by the Brexit referendum to soften, if not absolutely jettison, its anti-EU position. Its recent ard-fheis confirmed that Adams would step down to present a new (politically unburdened) face to the public, presumably that of Mary Lou McDonald. Sinn Féin now challenges the lower-middle-class voters of Fianna Fáil. That the powers that be are rattled is evidenced both by unrelenting attacks from the media, and the Government parties backing down on a Christmas election. While the rise of Sinn Féin has been the story of the left in recent times, and has consumed plenty of column-inches, what has been overlooked thus far is the other side of the political coin. Sinn Féin’s march to respectability has left an unoccupied space in Irish politics, which may yet be occupied by reactionary forces. The Republic is almost unique in Europe in that we have yet to see a major right-wing or fascist party along the lines of the Front Nationale, Jobbik, AfD, or even UKIP. One reason for this is the fact that Ireland has been ruled successively by virulently right-wing parties, both economically and socially. 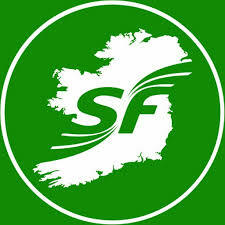 Another sometimes overlooked reason, however, has been the institutional presence of Sinn Féin. 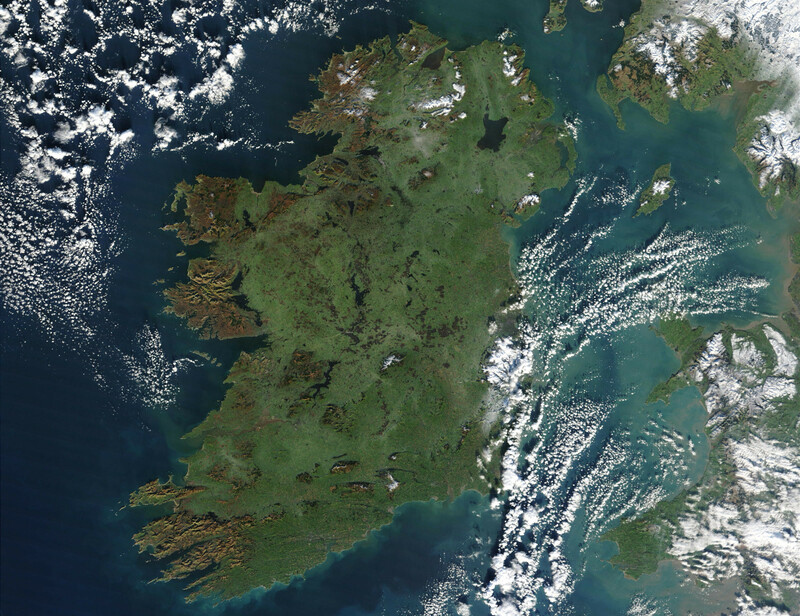 As a broadly populist centre-left party with a strong anti-EU position, Sinn Féin was able to capture and mobilise post-crash anger in Ireland, particularly among the youth. This, combined with its uncompromising anti-racist position, has served to preclude the emergence of any such reactionary forces. Now, however, the game has changed. The toning down of its anti-EU position, combined with a possible loss of influence in certain constituencies because of a move to the centre, stemming from the contingencies of electoral respectability, would weaken its broadly progressive message and provide room for a new right-wing force. More than that, if Sinn Féin were to enter government in the South (whether as a majority or minority party) it would quickly demonstrate the harsh limits of social-democratic reform, driving more people to search for solutions on the right. It is not so difficult to imagine that in a country still reeling from the savagery of the Troika, with thousands homeless and with growing anti-immigrant and anti-refugee sentiment, the cry of “looking after our own first” would be well received by a certain segment of the population. We must also remember that Ireland is not immune to what is happening on the international scene; and with our institutional blocks to fascism weakened, it is not unreasonable to fear that we may see its resurgence in the coming years. Any such new right-wing forces would not be synonymous with the Southern reactionaries of old (see Renua’s abortive attempt at a return to old-fashioned Catholic conservatism) but would find its inspiration in the modern right-wing movements in Europe, the United States, and further afield. The “alt-right” reaction to gains made by feminists, LGBT activists and other marginalised groups, already prevalent on the internet, will find expression here too, particularly among young economically disfranchised men. Another financial crash or a major terrorist attack would be more than enough to open this Pandora’s box. For a foreshadowing of such a future we only have to look to the erosion of the French Communist Party in the face of the Front Nationale after ceding the anti-EU ground. We must also remember that the far right does not need to seize state power to pose a risk. The shadow of fascism provides a two-fold cover to traditional liberals for enacting much of their right-wing agenda. On the one hand it makes their own position more palatable (even among left-wingers) when compared with “blood and soil” fascism; on the other hand it affords an excuse for centrist regimes to crack down on non-conforming viewpoints more generally (today we see this under the rubric of “fake news”). These illiberal measures are unashamedly sold to us as necessary to defend liberalism. As Malcolm X once said of white American conservatives and liberals, “one is the wolf, the other is a fox. No matter what, they’ll both eat you.” France once again provides a ready example: Macron’s fox is received jubilantly as the answer to Le Pen’s wolf. The risks of fascism, and the liberal response, make it more necessary than ever for us to redouble our efforts and to expound our principled opposition to the EU, in the hope of a more progressive and more socialist future. Too many of us on the Irish left have been looking to where Sinn Féin is going; it’s time we looked to what they will leave behind.